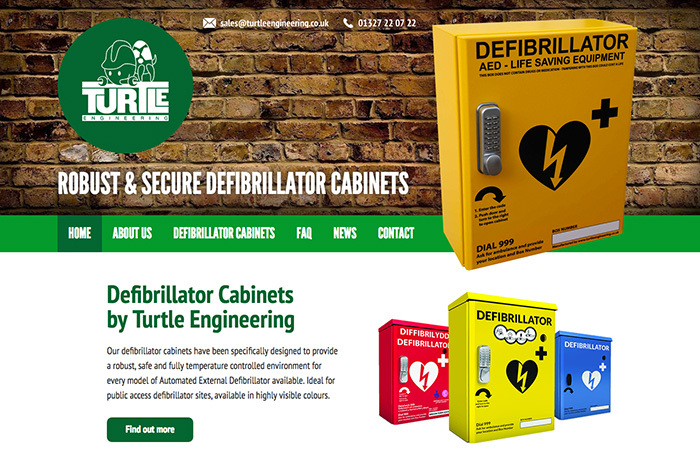 Based in Daventry, the guys at Turtle Engineering specialise in creating robust and secure defibrillator cabinets. They needed a website redesign that would promote their colourful cabinets, as well as providing a simple yet effective e-commerce platform from which to sell them online. The solution was a modern and professional web design which is fully mobile responsive and is quick and easy for the client to update themselves via a content management system.